Mathews, Brian. “7 Classrooms: Library as Pedagogical Incubator.” The Ubiquitous Librarian - The Chronicle of Higher Education, April 10, 2015. Requires Sage subscription. Bryant, Joanna, Graham Matthews, and Graham Walton. “Academic Libraries and Social and Learning Space: A Case Study of Loughborough University Library, UK.” Journal of Librarianship and Information Science 41, no. 1 (March 1, 2009): 7–18. doi:10.1177/0961000608099895. Requires Science Direct subscription Gayton, Jeffrey T. “Academic Libraries: ‘Social’ or ‘Communal?’ The Nature and Future of Academic Libraries.” The Journal of Academic Librarianship 34, no. 1 (January 2008): 60–66. doi:10.1016/j.acalib.2007.11.011. Requires Project Muse subscription Latimer, Karen. “Collections to Connections: Changing Spaces and New Challenges in Academic Library Buildings.” Library Trends 60, no. 1 (2011): 112–33. doi:10.1353/lib.2011.0035. Sinclair, Bryan. “Commons 2.0: Library Spaces Designed for Collaborative Learning.” EDUCAUSE Quarterly, November 9, 2007. Requires Project Muse subscription MacWhinnie, Laurie A. 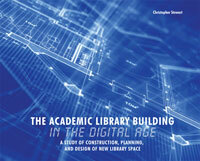 “The Information Commons: The Academic Library Of The Future.” Portal: Libraries and the Academy 3, no. 2 (2003): 241–57. doi:10.1353/pla.2003.0040. Cunningham, Heather, and Susanne Tabur. “Learning Space Attributes: Reflections on Academic Library Design and Its Use.” Journal of Learning Spaces 1, no. 2 (2012). Webster, Keith. “The Library Space as Learning Space.” EDUCAUSE Review 45, no. 6 (November 30, 2010). Brown-Sica, Margaret S. “Library Spaces for Urban, Diverse Commuter Students: A Participatory Action Research Project.” College & Research Libraries 73, no. 3 (May 1, 2012): 217–31. doi:10.5860/crl-221. Requires Science Direct subscription Applegate, Rachel. “The Library Is for Studying: Student Preferences for Study Space.” The Journal of Academic Librarianship 35, no. 4 (July 2009): 341–46. doi:10.1016/j.acalib.2009.04.004. Adamson, Martha C., and Brian P. Bunnett. “Planning Library Spaces to Encourage Collaboration.” Journal of the Medical Library Association 90, no. 4 (October 2002): 437–41. There is a plethora of information on these topics available. If you've read anything that you think others might find valuable, please share! E-mail infocoordinators@palni.edu.